First things first, the winner of the Little Skein project bag is..... mwbbas (rav username)! Congratulations. 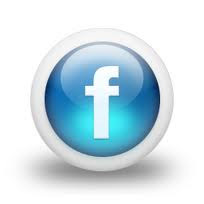 I have contacted the winner and Anne Vally to get in touch via pm. 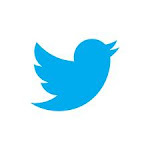 I'm hosting another fantastic giveaway next week so stay tuned. Second things second, I am teaching at the Fibre Space in Alexandria, Virginia, from May 19-21, 2016. I am teaching 5 workshops and there are still a few openings in a few classes, some are sold out. I would love to see you at the shop! 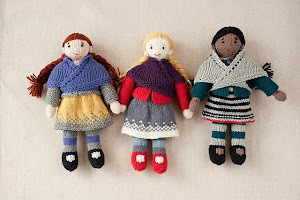 I am teaching Build a Toy, Shawl Shapes, Egg to Owl, Seamless Dolls (Mary, Millie, & Morgan), and Fair Isle Fingerless Mitts. Click here to see all of the classes I am teaching and for more information! 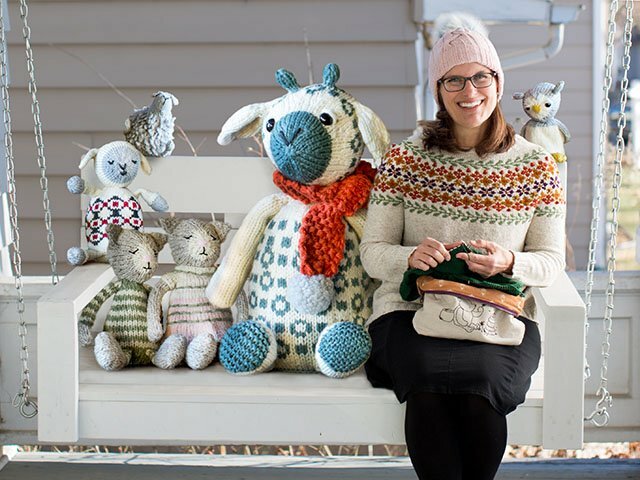 Third things third, I am excited to announce that I will be teaching at Knit City in Vancouver, Oct. 1-2, 2016! 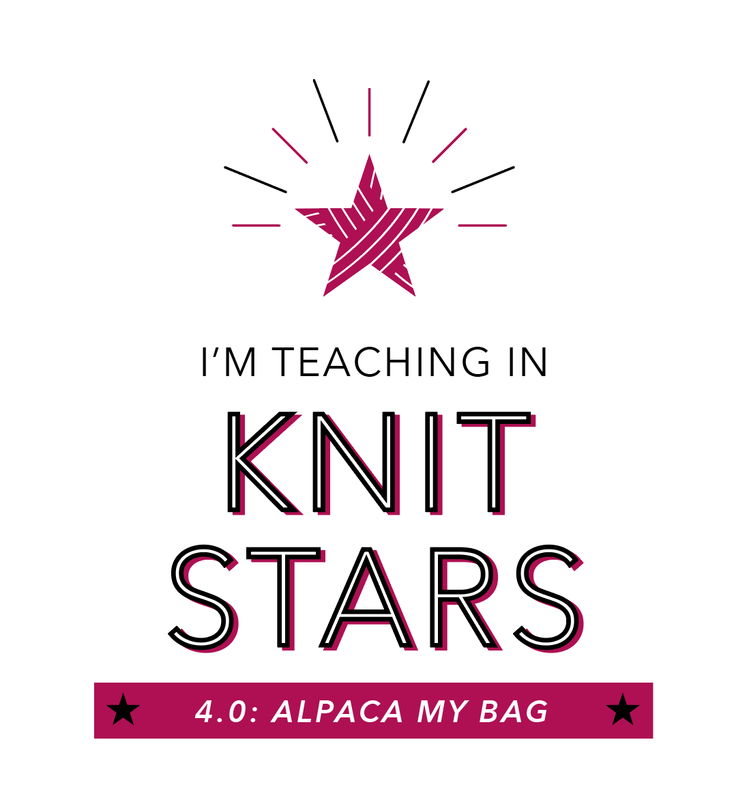 The teacher line-up has just been announced, click here for more information in the Knit City Ravelry group. The teachers include Clara Parkes, Stephanie Pearl-McPhee, Andrea Rangel, Ysolda Teague, Lucy Neatby, Kate Atherley, me, and many more! The classes are being announced in May and the registration is in July. 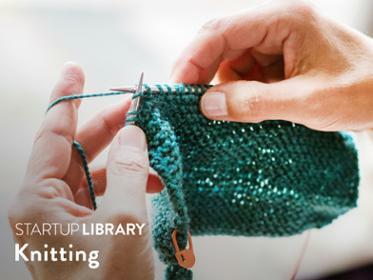 Click here for the knitsocial website for more information. Now for some Flora! Quite a long time ago Carrie Bostick Hoge contacted me about a new magazine idea she was working on. She asked if I would contribute projects to the first two issues. The theme of the first issue is Flora. Carrie basically left it open but wanted something with flowers from me for her magazine pages. Well, I couldn't say no to Carrie as I am an admirer of her beautiful work. I loved being involved in her premier Making issue. Click here for the Flower Fairy & Leaf Sprite page on Ravelry! 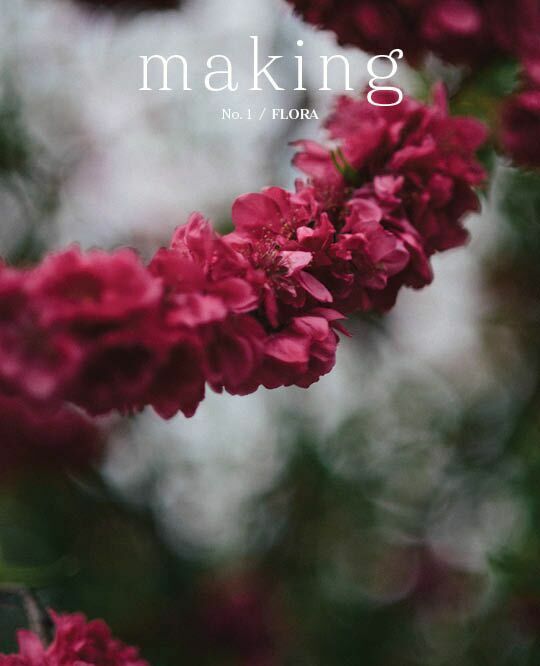 Click here for Making Magazine! Carrie is offering a 20% discount for subscribers through May 10th. The first print issue is coming out in May and the second issue is coming out next fall 2016! 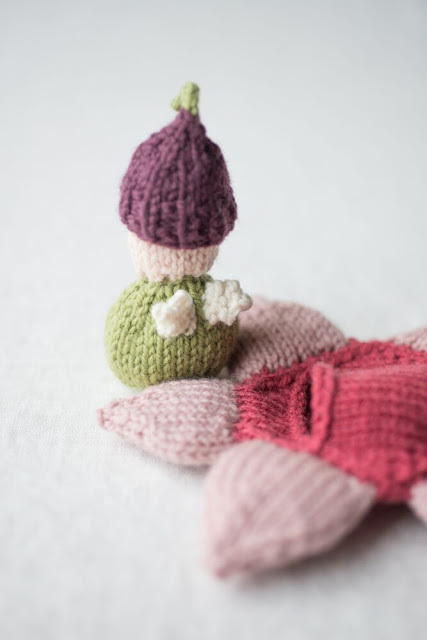 Click here to see all of the knit projects from Making Issue 1/Flora! 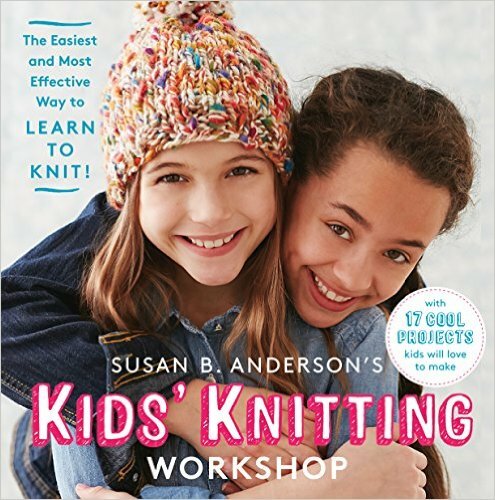 The magazine includes handwork, embroidery, needle-felting, journaling, recipes, sewing, beautiful photography, inspiring text and more! When I hear the word flora my mind goes straight to flowers and leaves and my youngest daughter, some of my most favorite things. When my daughter was a little girl she began her love affair with flowers and fairies. We collected fairies of all sorts, made handcrafted fairies, had fairy gardens in our yard and there were even fairy houses behind the couches and chairs in our living room. She and her neighbor friend had collected bark, moss, sticks and rocks to make elaborate and clever miniature fairy furniture. It was such a sweet and imaginative time and I loved every minute of it. With the flora theme in mind I decided to pay homage to the Flower Fairies and Leaf Sprites that my daughter played with in her childhood. 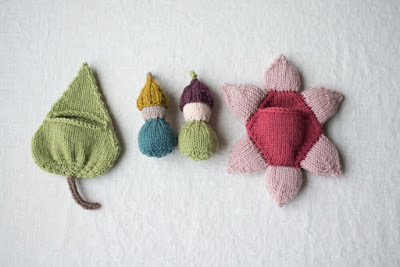 The knitted flower and leaf pockets or little beds, and the fairy and sprite are all worked entirely in one piece, no seaming to be found. 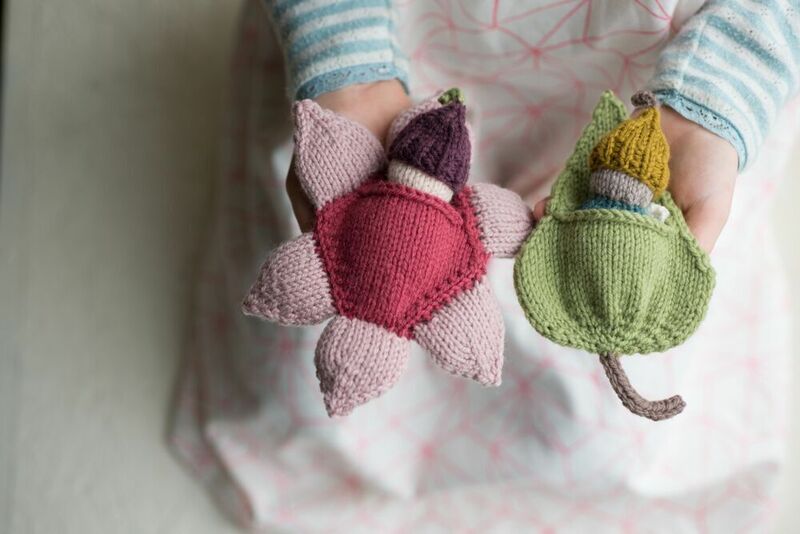 The flower and leaf become the perfect places to tuck in the little knitted characters for sleep or for the perfect hiding places. 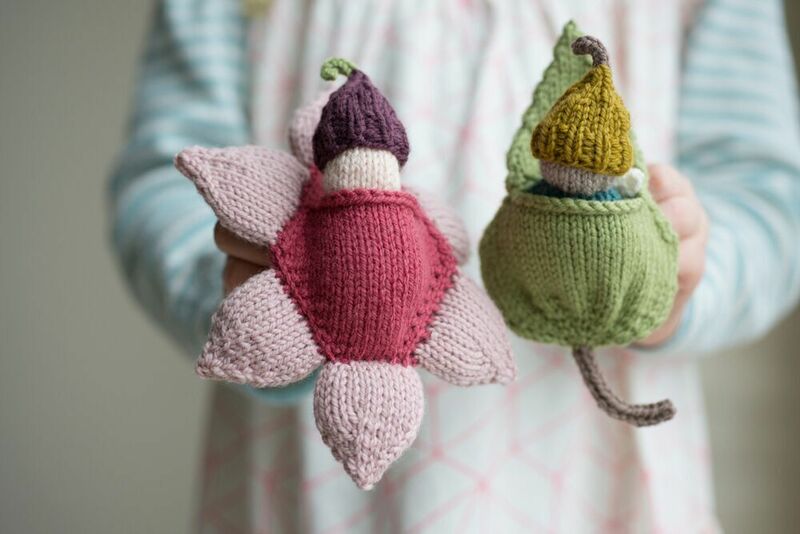 I hope this sweet pattern sparks the imagination of fairy-lovers everywhere! This knitting pattern is from the first issue of the print publication Making. The individual pattern will be available in my Ravelry pattern shop six months after the release of the magazine. The Flower Fairy & Leaf Sprite set is knit in Quince & Co. Chickadee which is a sport weight yarn. I knit on US size 4 double-pointed needles. Every piece is knit completely seamlessly and in the round. It is an enjoyable knit. The pattern will be released as an individual download in my Ravelry pattern shop six months after the release of the magazine. 24 sts and 40 rnds = 4" [10 cm] in stockinette stitch, after blocking. The little hats are removable. 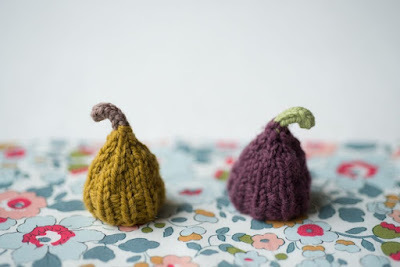 They look like little acorns. The Leaf Sprite is so sweet in the lovely Chickadee colors. The Flower Fairy and Leaf Sprite both have little tiny wings on their backs. I hope you'll take advantage of Carrie's 20% off for the first two print issues of Making that is good through May 10, 2016! Click here to find out more. I have seen the first issue and I promise that you won't be disappointed. I want to make everything in the issue! 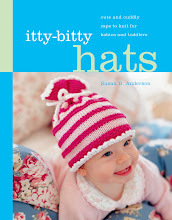 The sweaters and cardigans, hat, shawl, cowl, baby bonnet, the embroidery and sewing and recipes are all so well done. The entire issue is inspiring. Carrie Bostick Hoge is a creative force in our industry with so many talents. Her photography style and design style is one of the best I have ever experienced. It draws you in and makes you want to stay. The Branches and Buds Pullover by Carrie Bostick Hoge is jumping on my needles! I can't wait to get started on this gorgeous, clever design. Carrie knows how to make a simple design with just a bit of detail to make it stand out. The Branches and Buds Pullover is a perfect example of simplicity with a little twist. 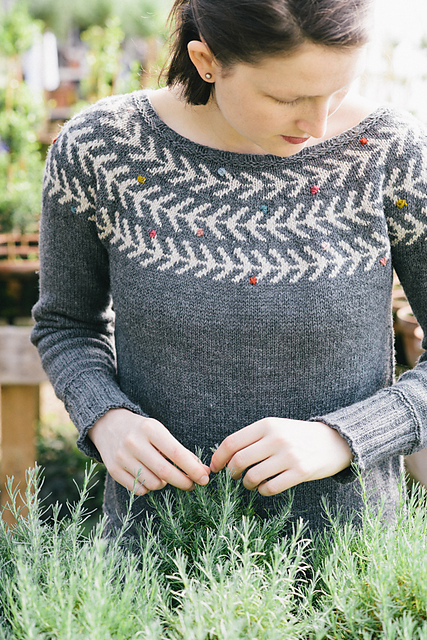 The pullover is worked in Quince & Co. Chickadee as well. Maybe use the Chickadee for the Flower Fairy & Leaf Sprite for the buds on this sweater ~ the perfect yarn combination. I'll be back soon with more! Have a great weekend, friends. Episode 24 ~ Sheep Heid, Pattern Sale & Little Skein! I have a new podcast episode up on YouTube. Click here for Episode 24! Subscribe to my podcast on YouTube! 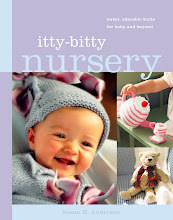 Join my Ravelry group, Itty-Bitty Knits! I'd love to see you around the interwebs. 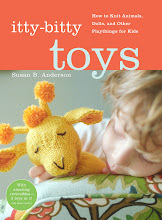 ~ I am running a huge Spring Pattern Sale of 40% off my entire Ravelry Pattern Shop, including eBooks, from today, April 20th to the end of the day on Monday, April 25, 2016! 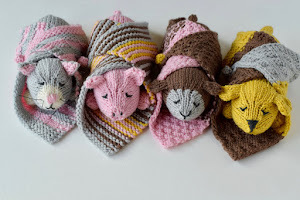 Click here to visit my shop and check out the patterns! 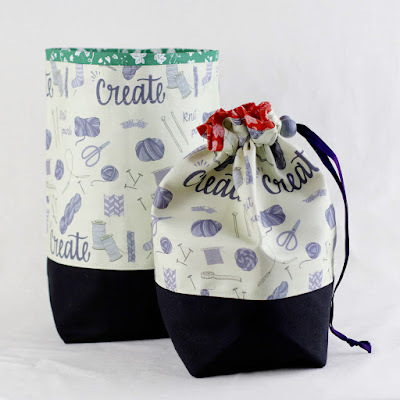 ~ The second announcement is that I am giving away one of those adorable Little Skein original fabric project bags today! The bag is called, Create, and it is wonderful. 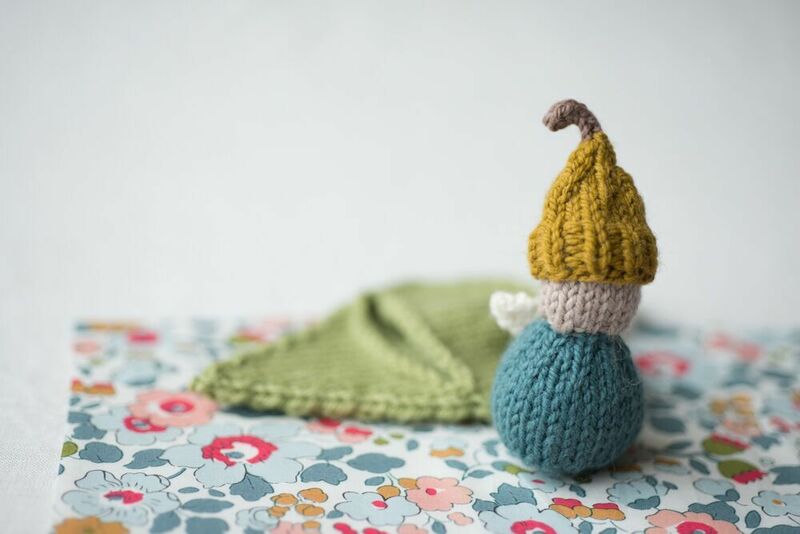 Click here to visit Little Skein! Thank you to Anne Vally for the fun opportunity! To enter to win the project bag please leave one comment on this blog post. 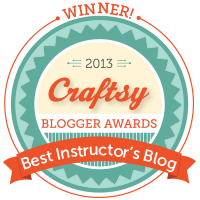 Please include your email or Ravelry username so I can get in touch if you win. Please be patient for your comment to appear, it takes awhile for it to show up on the blog comments. I'll randomly select a winner early next week! Here is the top of the Sheep Heid hat before blocking! It's phenomenal. You can see my pile of ends after only a couple of inches! 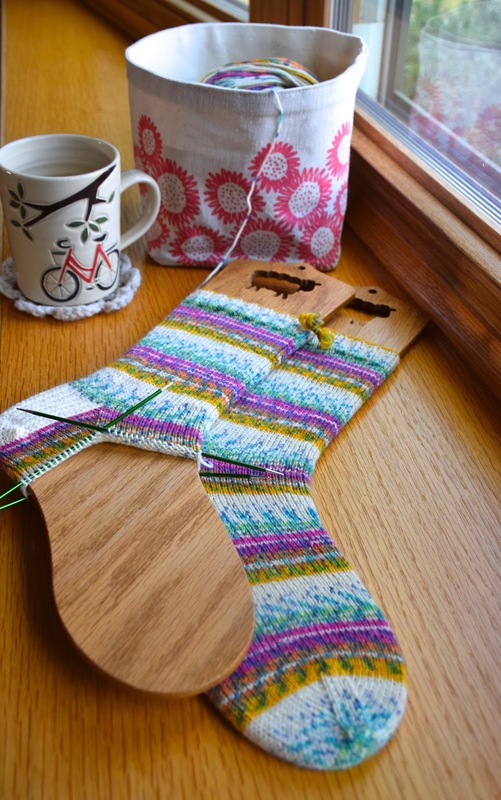 The Knit Circus Gradient Stripes socks are beautiful! Thanks for joining me today. 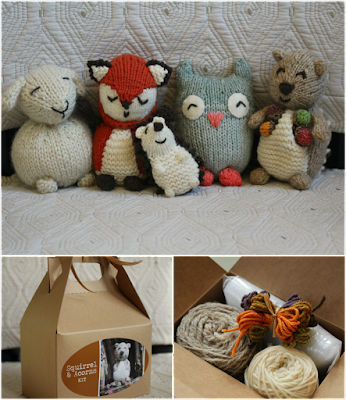 Good luck if you enter the win the project bag from Little Skein. I'll be back next week to randomly select a winner. I'm popping in with the winners of the giveaway for two kits from Never Not Knitting for my designs, Little Owl and Squirrel and Acorns. The winners are..... laurasimo and simbaswing (both rav usernames)!! Congratulations. 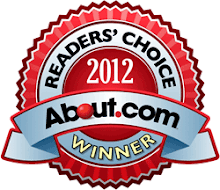 Both winners have been contacted via Ravelry. Thanks for entering and for the kind comments, I really appreciate it. I will host another giveaway very soon. 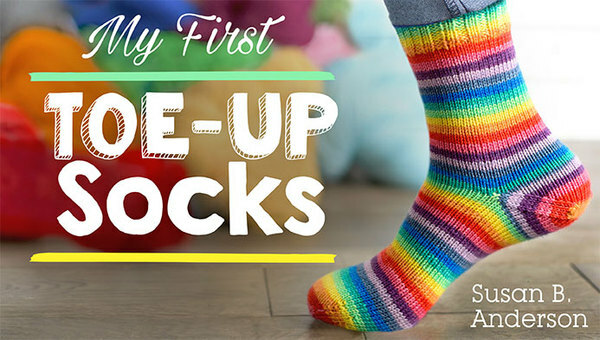 Now for the socks. 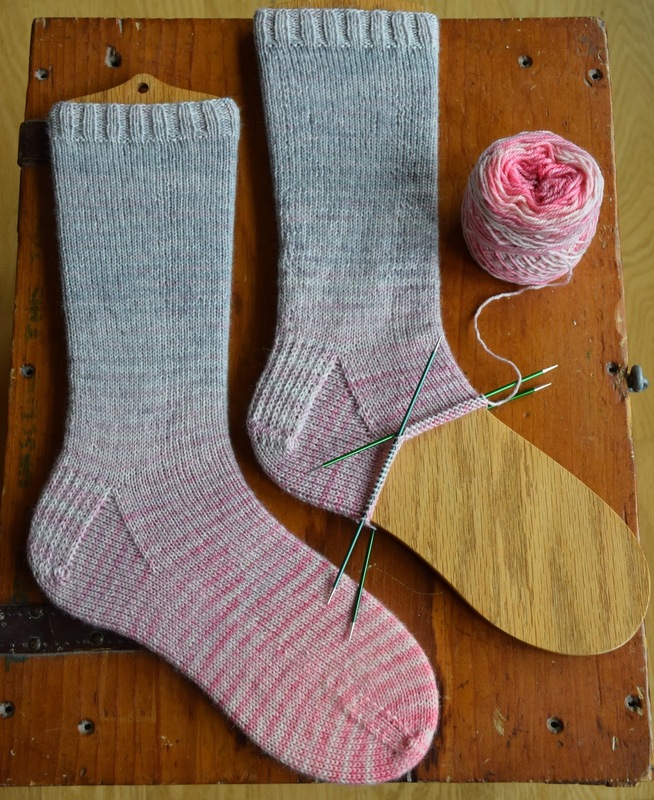 I finished the second sock early this morning. The yarn is the only sock yarn I have knit twice. 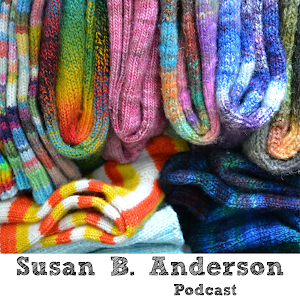 I gave the first pair away and vowed to find the yarn to knit another pair to keep. I found the yarn again and have had it for a couple of years. The other day I saw it sitting on a shelf and decided to finally cast on. I wasn't disappointed! The color lived up to my memory and beyond. I love these socks. This week I also revived an old project that was cast on at least a couple of years ago. 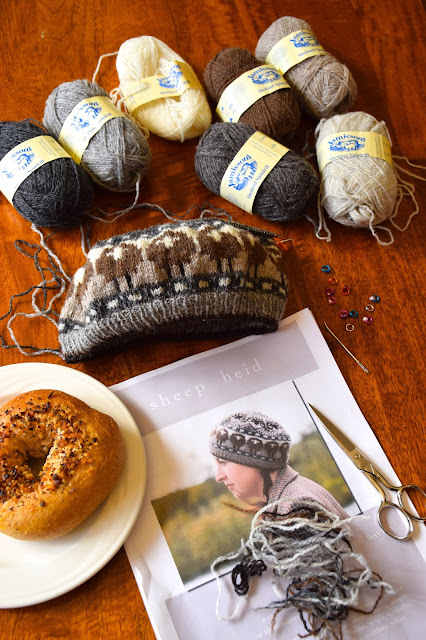 The hat pattern is Sheep Heid by Kate Davies. 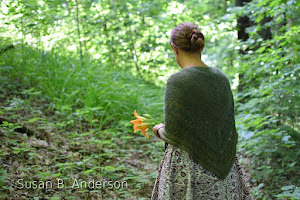 I am using Jamieson's Shetland Spindrift in the same colors as the pattern uses, the naturals. It is beautiful and fun. I'll keep you posted on my progress. I have so much work to do and I am sure you are all busy, too, so I won't keep you long today. I also hope to get outside to enjoy the warming weather this pretty spring week and of course, to visit the wildflowers in the woods near my house. I hope you get to do the same.